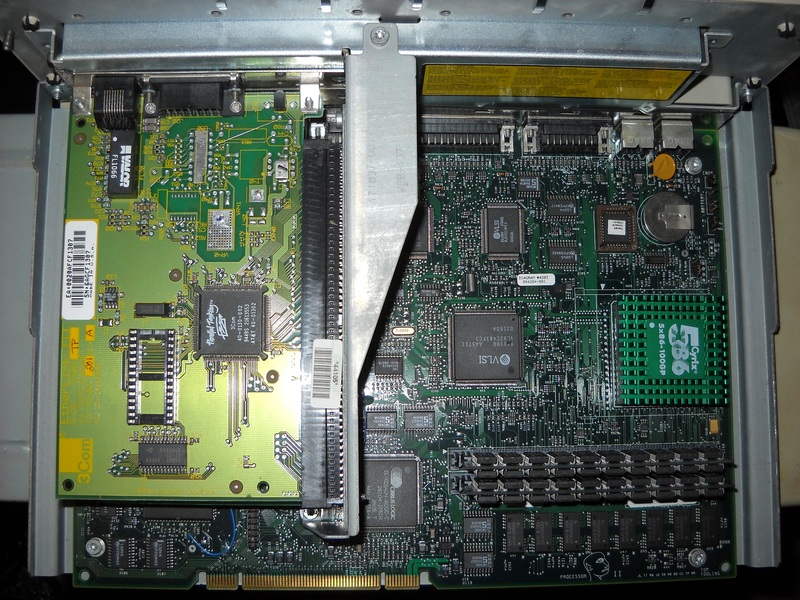 Originally this PC shipped with an NTSC TV Tuner, however it has no driver support in later versions of Windows, and NTSC broadcast is dead, so I removed it in favor of a SCSI card. We had this exact model, and we got the evergreen upgrade. 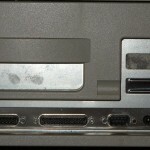 Worked like a charm until software publishers started demanding higher spec systems. 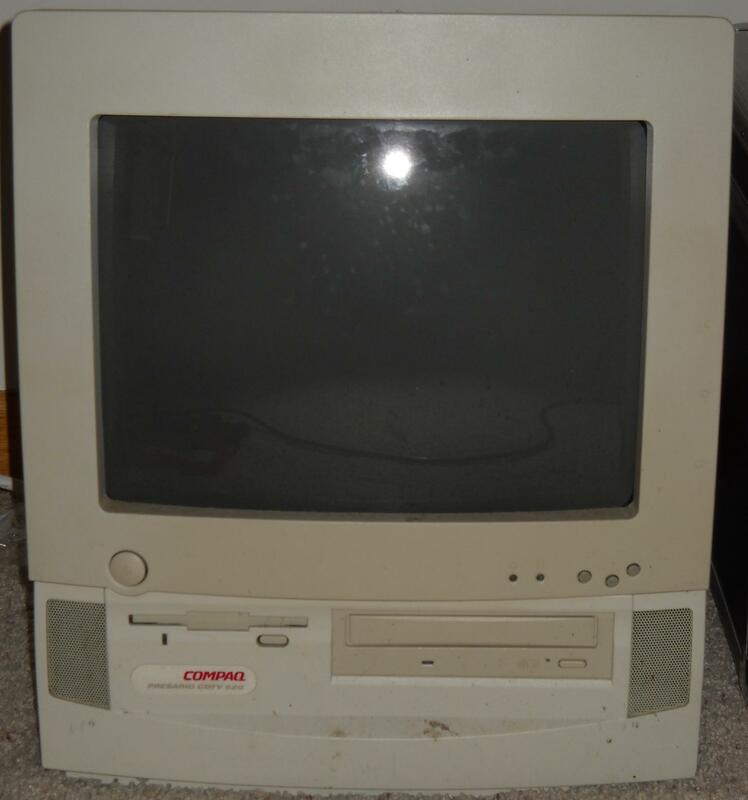 I had an Evergreen CPU in this for a while, but sadly it died (it overheated), so I got the Cyrix 5×86 instead. This is still a great machine for period software, but you are right, it will not run modern software. I surfed arround on you website and I loved it. 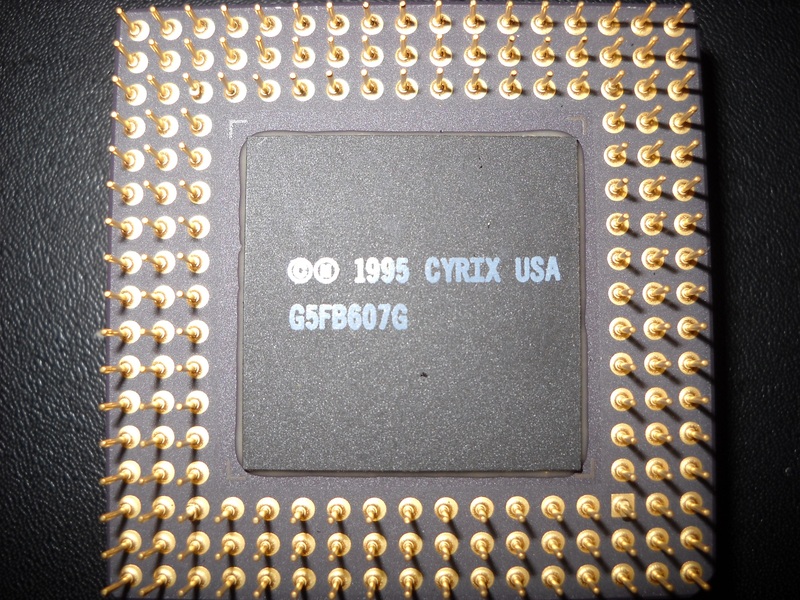 Mostly because I collect computers too 😉 So, I have a question about this computer : why to choose a Cyrix Cpu? I ask this because in the end of 98 I got a Pentium 133 in the need of more power. 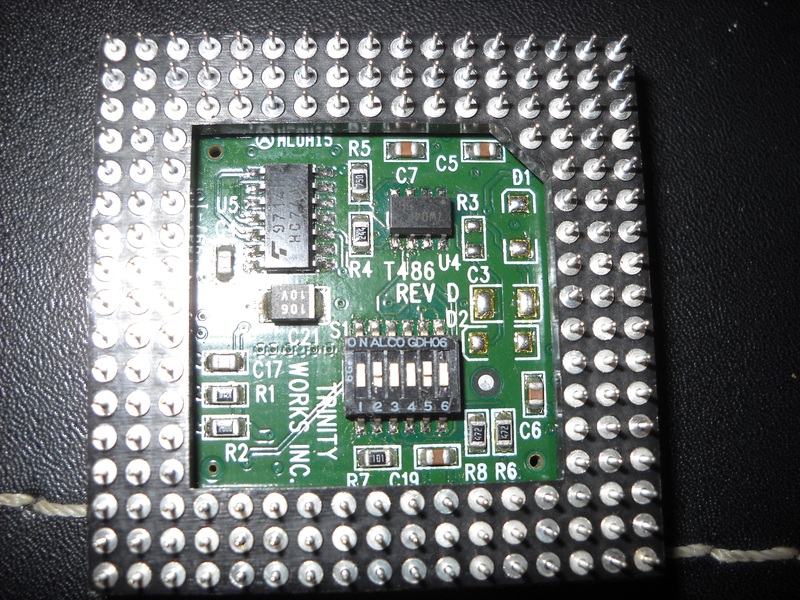 So I got a Cyrix pr 150 in exchange to put on in my computer. 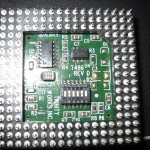 This CPU lasted in my computer because it was slower in games than my 133. 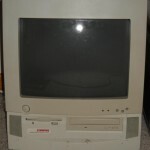 So, I sell it to got a Pentium 166mmx and oced it to 180mhz. 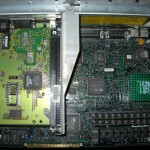 I remember how my computer mentor in these days questionning why I decided to put a Cyrix in my computer. I answered, because in Quebec, the winter is cold and my computer is now able to produce some heat 😉 It’s my story about the only Cyrix I had in a computer. 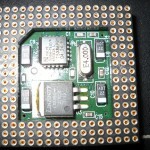 I have some Cyrix/Via cpu’s in my collection. 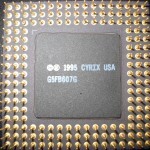 I chose the Cyrix in this case because it is one of the better performing 486 class CPUs (mainly due to the larger cache and branch prediction), they lost their edge in the Pentium era, Intel and AMD shot far ahead of them, and Cyrix was pretty much relegated to low cost low performance market after that. 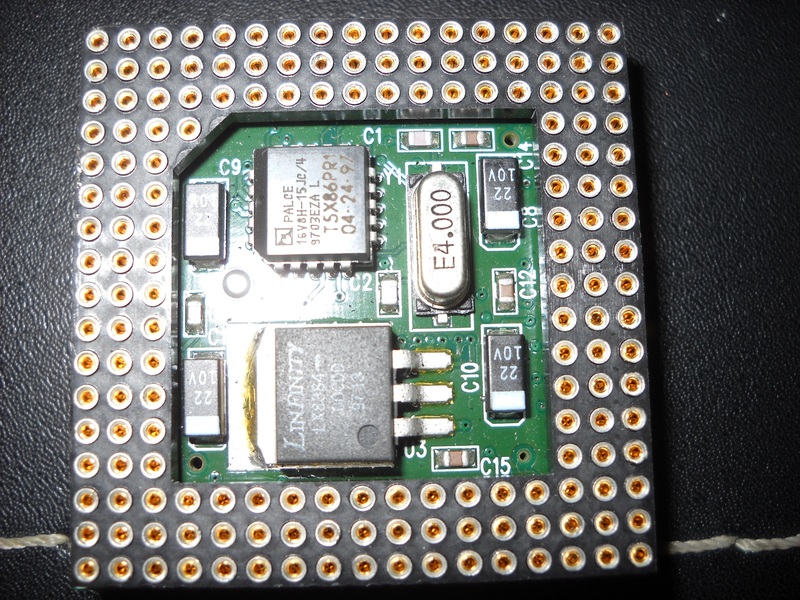 This 100mhz 486 class CPU performs on par with a Pentium 75, I don’t think even Intel’s own “486 upgrade”, the Pentium Overdrive chips (which do not fit a standard 486 socket, only special “overdrive” capable sockets, I have one, but it doesn’t fit this board) perform as well, I know it performed pretty close on most tests to AMD’s 133mhz offering. So for this generation of PC it is one of the better choices.